This editorial has been published as: Michael Parker, “Message from the Editor: 150 Years of the Van Dyck Bible,” Cairo Journal of Theology 2 (2015): 5–6 (pdf). This 2015 volume of the Cairo Journal of Theology (CJT) opens with four articles on the occasion of the one hundred and fiftieth anniversary of the Van Dyck Bible. Cornelius Van Dyck was a medical missionary sent in 1840 to Beirut, Lebanon, by the American Board of Commissioners for Foreign Missions. 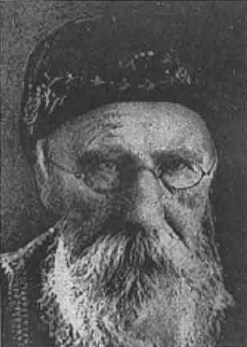 Utilizing the previous translation work of Eli Smith and collaborating with local assistants, he translated the Bible into Arabic, completing the task in 1865. The Van Dyck Bible, which is still widely used, has been highly influential and is sometimes referred to as the “Authorized Version” or the “King James Version” of the Arabic-speaking world. The four articles present various aspects of the issues that surround the Arabic translation of the Bible. Michael Shelley, the director of the Center of Christian-Muslim Engagement for Peace and Justice at the Lutheran School of Theology in Chicago, provides the reader with a general introduction to Bible translation, reviewing subjects such as biblical inspiration, form criticism, source criticism, redaction criticism, the New Testament canon, and the cultural and linguistic adaptability of the Scriptures. Uta Zeuge-Buberl, who recently received her PhD from the University of Vienna for her dissertation on the work of the American Board of Commissioners of Foreign Missionaries (ABCFM) in Beirut, Lebanon, tells the story of Cornelius Van Dyck’s work in Beirut and specifically his work on the famous Bible that bears his name. Joshua Yoder, ETSC’s New Testament professor, places Van Dyck in his own time, reviewing the state of the art of textual criticism in the nineteenth century and Van Dyck’s decision to base his translation of the Bible on the version that scholars refer to as the Textus Receptus. John Daniel, ETSC’s instructor of Greek who has worked on the “New Van Dyck” translation project, presents the specific issues that confront those who would produce a modern translation of the Bible in colloquial Arabic. The image of Van Dyck on this page has been taken from: Ed Lauber, “An Outstanding Example for Bible Translators,” Heart Language, August 13, 2014, http://‌heartlanguage.org/2014/08/13/an-outstanding-example-for-bible-translators/.